An Israeli soldier holds his machine gun as he walks near Israel's border with the Gaza Strip, in southern Israel on Wednesday. JERUSALEM – Israel's last troops left the Gaza Strip on Wednesday, although the cease-fire was frayed when its navy opened fire toward beaches in northern Gaza, and smugglers' tunnels that were targeted in the 23-day campaign against Hamas were active again at the Egyptian border. The Israeli military said it would investigate allegations by the United Nations and human rights groups that it wrongly used white phosphorous — an ingredient in weapons that inflicts horrific burns. Although the use of phosphorus weapons is permitted by international law, Amnesty International has accused Israel of committing a "war crime" by using them in densely populated areas. As the Israeli troops departed and the focus shifted to cementing the fragile cease-fire, Israeli Foreign Minister Tzipi Livni went to Europe to rally international support for a plan to halt weapons smuggling into Gaza from Egypt. A key goal of the offensive, aimed at punishing Hamas militants who have been lobbing rockets at Israel for the last eight years, was destroying the hundreds of tunnels along the eight-mile border used to smuggle weapons into Gaza. Israel said it had destroyed about 60 percent of the tunnels — but already Wednesday there were signs they were back in action, adding urgency to Livni's mission. AP Television News video Wednesday showed Palestinian smugglers filling a fuel truck with gasoline that came through a tunnel from Egypt. The video also showed workers clearing blocked tunnels and bulldozers making other repairs. With the crisis scaled back on his first full day in office, President Barack Obama made good on his promise to engage in Mideast peacemaking from "day one," calling Israeli Prime Minister Ehud Olmert, Palestinian President Mahmoud Abbas, Egyptian President Hosni Mubarak and Jordan's King Abdullah. Olmert's office said the Israeli leader updated Obama about the situation in Gaza and expressed hope that efforts by Israel, Egypt, the United States and Europe to stop Hamas' arms smuggling would succeed. Olmert also pledged to improve the humanitarian situation in Gaza. Obama told Abbas that he hoped to work toward peace in full partnership with the Palestinian leadership, Abbas aide Saeb Erekat said. The Western-backed Abbas governs from the West Bank. Hamas, his bitter rival, seized control of Gaza from his forces in 2007. Former Senate Democratic leader George J. Mitchell is expected to be named special envoy to the Mideast for incoming Secretary of State Hillary Rodham Clinton, according to diplomatic officials who spoke on condition of anonymity because they were not authorized to speak publicly about the move. Gaza remained tense. Israeli navy ships fired rounds of machine-gun fire at the beaches of northern Gaza, and the military said a Gazan fishing vessel had strayed into an area declared off-limits by the Israeli navy. A Palestinian human rights group said it had completed its count of the death toll from the Israeli operation, putting the number of dead Palestinians at 1,284 — with 894 of those civilians including 280 children or teenagers. The Israeli military says 500 Palestinian militants were killed. Gaza's militant groups say they lost 158 fighters. Thirteen Israelis also were killed, 10 of them soldiers. The death toll and scale of the destruction in Gaza provoked international outrage, but in Israel, the war was widely seen as a legitimate response to militants' attacks. The Israeli military has not acknowledged using white phosphorous, but its legal experts argue that it is a lawful weapon as long as civilians are not targeted. Phosphorous weapons are used to light up the night or to create smoke screens masking troops. On Wednesday, however, the military said in a statement that it will investigate the accusations made by the U.N. and human rights groups. With journalists only now gaining access to Gaza, doctors and victims have provided witness accounts of attacks by shells containing white phosphorous. It is not clear how many people have been injured by the chemical in the offensive. Bits of phosphorous shrapnel can still be found in the rubble, giving off an eery green glow and acrid smoke. After severely restricting access to Gaza for the last two months, even before the war began, Israel has started allowing limited numbers of journalists into the territory. Journalists also have been able to enter Gaza via the border with Egypt. Livni hoped to clinch a deal in Brussels committing the European Union to contribute forces, ships and technology to anti-smuggling operations. "She will sum up with the EU representatives their involvement in the international handling of the problem of smuggling into the Gaza Strip," said Foreign Ministry spokesman Yigal Palmor. An EU commitment would build on a deal the U.S. signed with Israel last week promising expanded intelligence cooperation between the two countries and other U.S. allies in the Middle East and Europe. "The situation is fragile," Javier Solana, the EU's foreign and security chief, said ahead of the meeting. Amos Gilad, an envoy for the Israeli Defense Ministry, is heading Thursday to Cairo for talks with the Egyptians, who have expressed reservations about the U.S. deal. Egyptian Foreign Minister Ahmed Aboul Gheit said his country would not allow foreign naval forces to operate in its territorial waters to prevent weapons smuggling to Gaza. The United States has promised to supply detection and surveillance equipment, as well as logistical help and training to Israel, Egypt and others in the region. The equipment and training would monitor Gaza's land and sea borders. 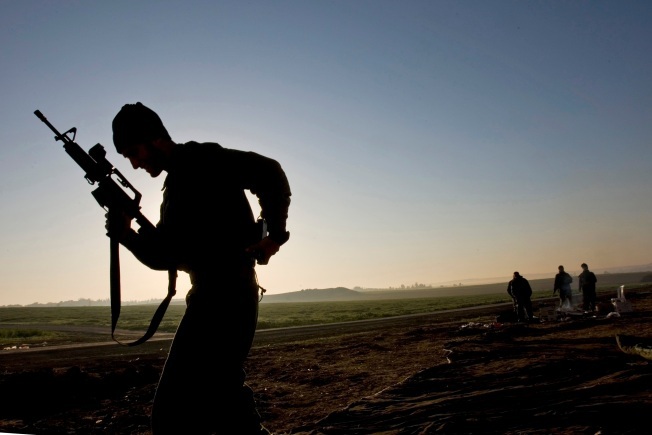 Some EU nations, notably Germany, have promised to help Israel stop the arms smuggling. The issue will likely be debated at a regular EU foreign ministers meeting scheduled next Monday. Most of the smuggling came through tunnels under the border between Egypt and Gaza. Egypt has proved unable or unwilling to halt the flow of weapons coming through the tunnels, alongside fuel and consumer goods. The tunnels also provided an economic lifeline for destitute Gazans who have been cut off from the rest of the world by an 18-month Israeli and Egyptian border closure aimed at choking Hamas.